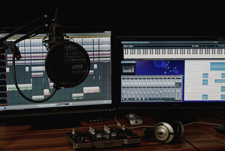 Check out our guide on the best electronic drum sets as well as many others on this site, which show you how to choose an electronic drum set, the differences between sample pads, how to create your perfect hybrid acoustic-electronic drum kit, and much more! If you are considering buying an acoustic drum set then check out our article on the best drum sets for beginners. Like any instrument, it is very easy to get frustrated and plateau on your development. I would highly recommend a personal drum teacher, particularly when you are starting out. Luckily, there are also a wealth of drum tuition resources online. These are great resources to help you work at your own pace, allows you to rewatch over and over again, and address areas for improvement with lots of different exercises. If you have the money to play with then nothing beats a local drum expert for all of your tuition. I know this is not the case for many. 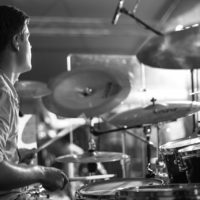 If not, I think the best approach to use these online drum lessons are used in conjunction with semi-frequent visits to a local expert drum instructor. If you have the discipline to practice independently then you will not need one-to-one tuition to teach you everything, so you can stretch your budget out to pay for really quality tuition on areas you need help with. 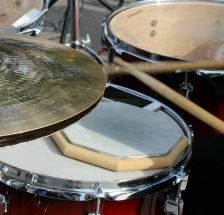 An expert drum teacher will have the experience to identify bad habits and weakness that may be in your ‘blind spot’. 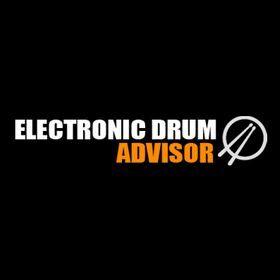 Drumeo: This is a great resource for drummers. Featuring big name drummers such as Jared Falk, Tony Roster Jr, Thomas Lang, and much more, there is so much to learn from these guys. MikesLessons.com: Another great site, full of high quality lessons from Mike Johnston. Here you can sign up for montly access. Alternatively, you can also purchase access to address particular areas you want to improve, such as developing speed, fills, independence, and more. 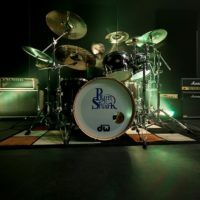 Stephen’s Drum Shed: Online drum lessons membership site with Stephen Taylor. A very popular option and well worth consideration. Most of the information you need these days is online. Still, drumming magazines can still offer a lot of insights, interviews, and some offer lots of tutorials and drumming exercises that you can take with you to your drum set. They are also great for use on commutes and traveling. Modern Drummer: One of the biggest drumming magazines in the industry. Their website is also a very valuable resources, full of information and articles. DRUM! Magazine: This is another great drumming magazine, packed with quality articles, interviews, and exercises. It also hits a younger market. Rhythm Magazine: This is the UKs biggest drum magazine, and one that I have bought many issues of over the years. Well worth checking out to keep up to date and keep learning. Check out this great article on DRUM! Magazine about how to set up your drum set in the correct positions for your body. 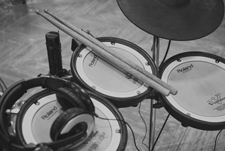 This article is not specific to electronic drums, but many of the tips are still relevant. Drumming posture and ergonomics are extremely important. If you want to keep doing what you love, make sure that you are not working against your body. The last thing you want is your doctor or physio to advise you to stop playing drums. Unfortunately, it has happened to drummers. Make sure it does not happen to you. Set up your set so that you are working with the motions of your own body! I’m going to put this in the drum health section, as I believe the top purpose of good in-ear monitors should be to isolate sound and protect your hearing. I never play gigs anymore without my in-ear monitors, they allow me to control the volume of my mix and play longer gigs and amplified band sessions over extended periods at a safe level. I own a pair from the brand Ultimate Ears and I would highly recommend them. 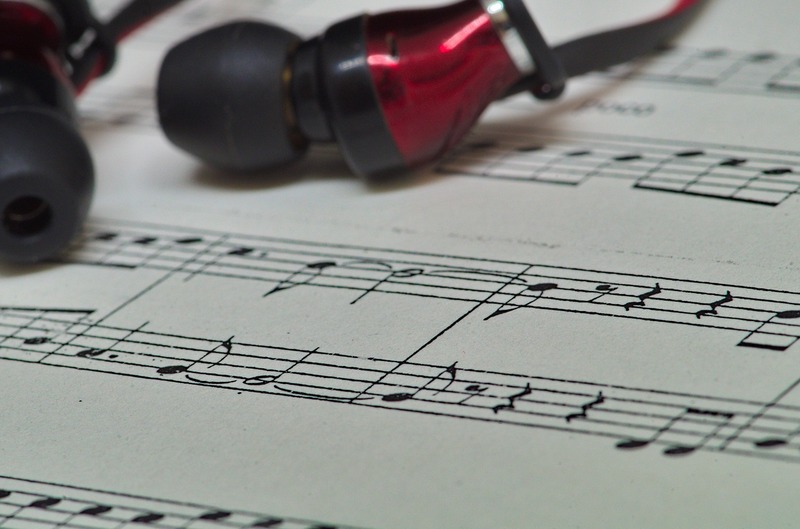 Musician Wave is a site packed with tips for musicians and producers. 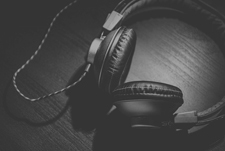 Check out their music promotion articles. These guys are veterans at custom drums, repair and supplies. Of particular note to our readers is their wraps for electronic drums, which can be used to spice up the look and feel of your set. If you have any other suggestions for resources to add to this page, please contact me.